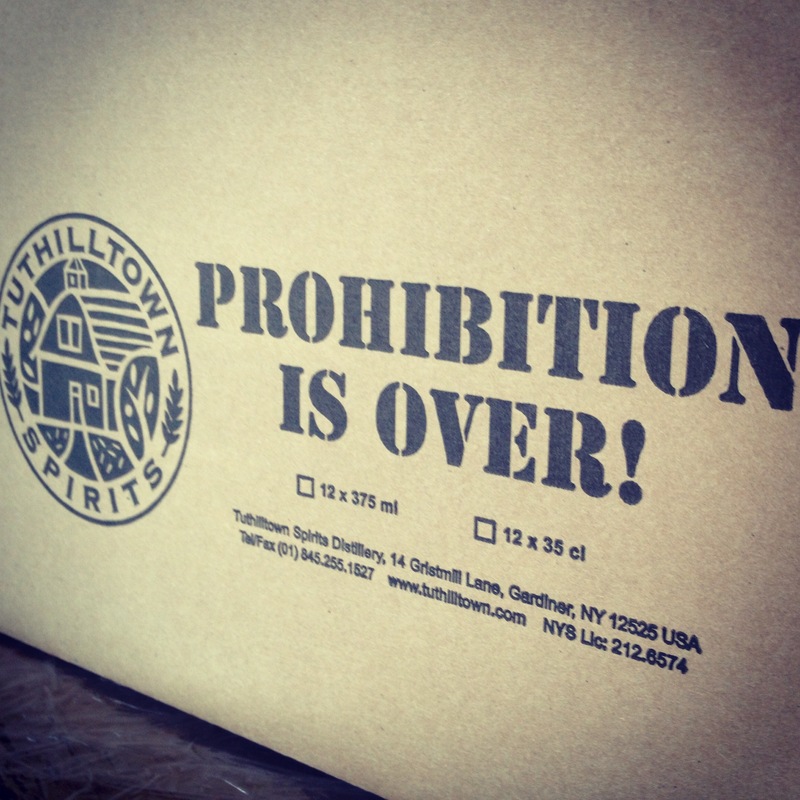 For close to two years, I’ve been sharing my passion for all things alcohol here at the Nobler Experiment; so much of which has stemmed from the complex and fascinating role in which Prohibition shaped the way in which we currently enjoy liquor, wine, and beer. It’s why, as I’ve mentioned countless times before, to be a part of the modern-day spirit resurgence, is more than a little exciting. 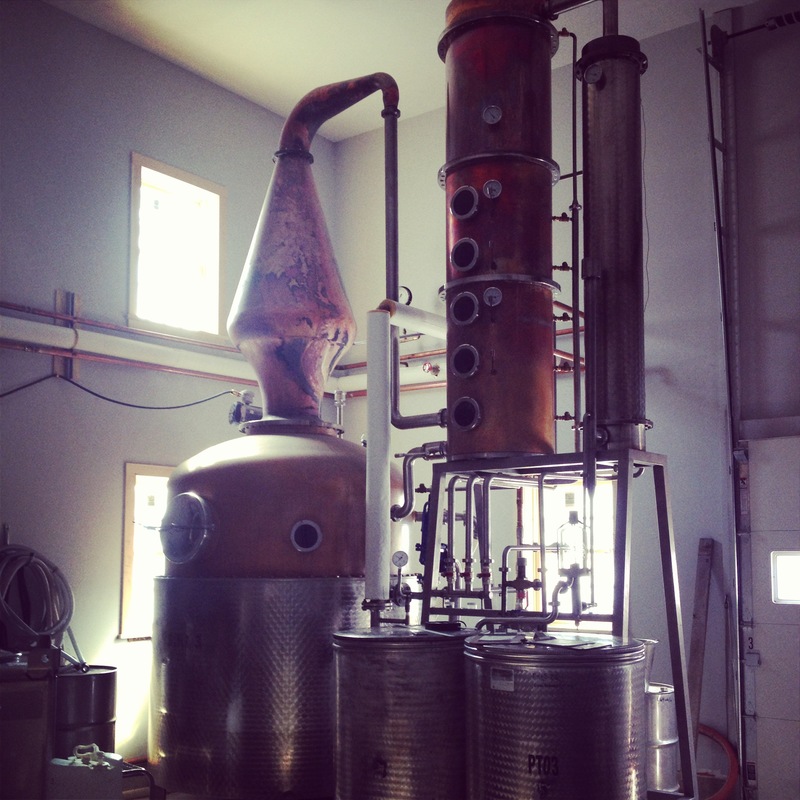 Visiting and supporting the up and coming distilleries, working on new cocktail recipes to drink with all of you, and bringing people together to share in the total experience of the Nobler Experiment is a passion that keeps growing. And after our visit up to Tuthilltown Spirits this past Saturday to celebrate my birthday, it’s safe to say, this passion is at an all time high. In some ways I should probably start this post with an admission of sorts. It really is a bit insane it took me this long to get up to Tuthilltown. Even ignoring the fact that they are a simple 1.5 hour bus ride from NYC for just a second, the discussion of a New York spirits resurgence should have probably started with them at the top of our tour list. 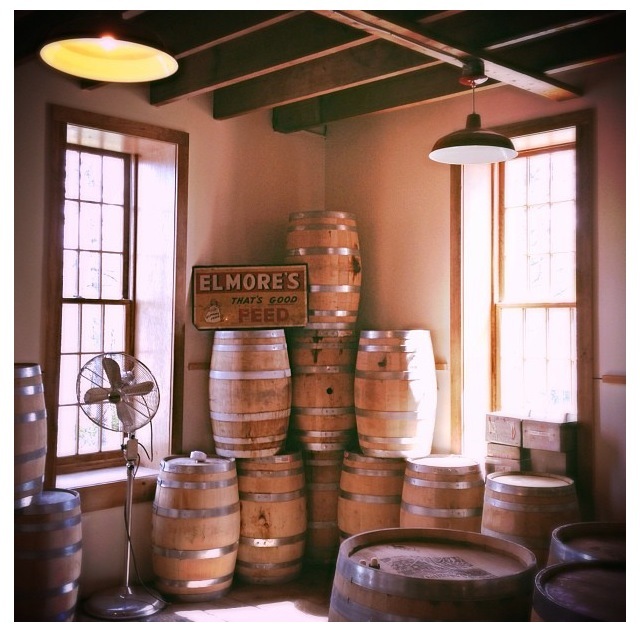 As the very first New York state distillery since Prohibition, the co-founders, Ralph Erenzo and Brian Lee have been pushing the boundaries on local spirit creation since 2003. 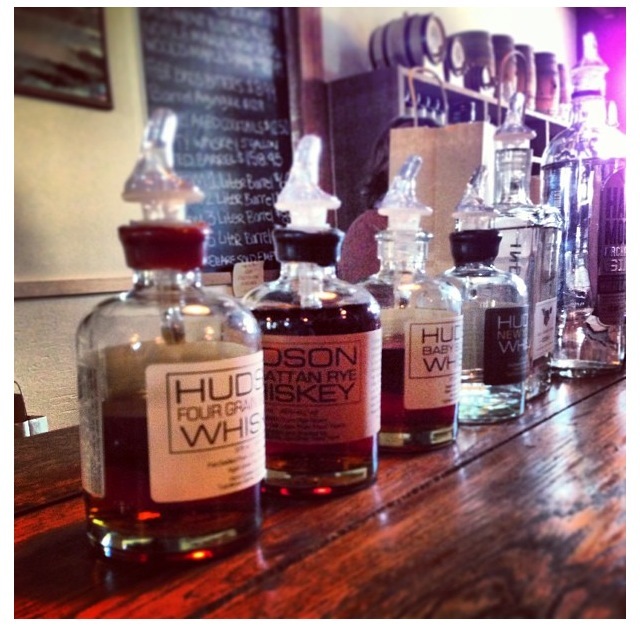 You have almost certainly seen their Hudson Baby Bourbon and like-bottled whiskeys on the market more and more recently, but what you may not realize is just how committed to locally sourcing their inputs they remain. The locally grown wheat and apples for their gin and vodka (not apple flavored, but rather apple distilled) and the corn and grain for their whiskeys are not being utilized as a silly marketing gimmick but rather as a concerted effort to make high quality products with distinction and character. You get this sense perfectly walking around their facility, a beautifully converted Gristmill in Gardiner, NY. Even with more recent updates and increases in efficiency, you really get the sense of just how passionate and involved they are with each and every spirit. Most noticeably, in their “filling and labeling” line where each and every bottle is hand and visually inspected (of course after being tasted) to ensure it meets the standard. Don, our tour guide, joked about their now “up to date” labeling machine and how much time it saves them. Of course, this is the same machine that is still a one bottle at a time, hand crank. So there’s no question, these whiskeys have been given a lot of attention. And it shows in the tasting. First off, I can say with confidence, I was there to try whiskey. I had tried the Baby Bourbon and their Single Malt prior to our visit, but was excited to try some of their other offerings, mainly their 100% Rye and their Four Grain whiskey. But I was shocked when I found out they were producing a Gin from 80% wheat and 20% apples that completely rocked my world; most interesting and delicious gin I have ever tasted. But I think unique is what the folks at Tuthilltown do right with everything they touch. In all of their aged spirits, there is a complexity in flavor that I truly love. The market for whiskeys is getting bigger and bigger but my experience of late has been an overwhelming flurry of “regular”. Good, solid whiskeys but without much nuance. 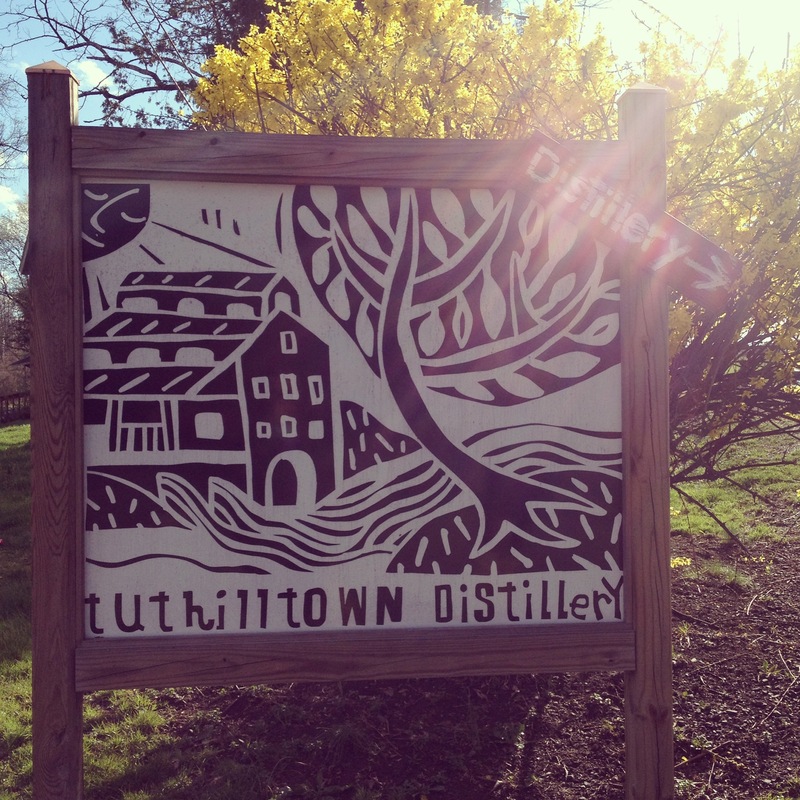 Tuthilltown’s spirits on the other hand are riddled with nuance and are great additions to every liquor collection. Overall, it was an unbelievable birthday celebration and I have to absolutely thank the team at Tuthilltown for making it so special and welcoming us for such a fun experience. Plus a special thank you for bringing up Adam Ford of Atsby Vermouth who just like the folks at Tuthilltown, is doing some pretty special things with spirits. Check back tomorrow for more on Adam’s amazing products and in the mean time, get booking your trip to Tuthilltown!